Chengdu serves as the capital of China’s Sichuan province and the western center of logistics, commerce, finance and technology. The main industries in Chengdu are machinery, automobile and information technology. 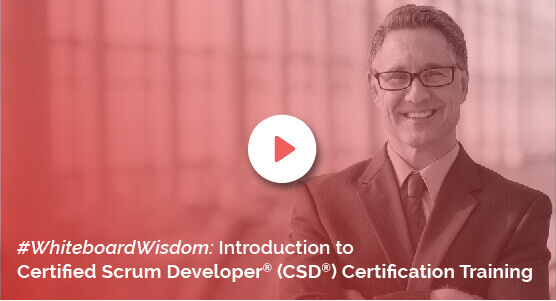 Hence with growing economy and technology, it is important to follow product development courses like Certified Scrum Developer certification in Chengdu, which helps avoid unnecessary work. The five-day intensive training workshop aims at coaching the important aspects and fundamentals of scrum. The CSD course in Chengdu provides aspirants with the basic knowledge of scrum principles, artifacts and ceremonies. The industry expert tutors help develop an Agile mindset. Towards the end of the CSD certification in Chengdu, one would be able to grasp the concepts of the scrum framework in a clear and practical way. The CSD training in Chengdu by KnowledgeHut will not only help you inunderstanding the scrum methodology but also teach you to apply it effectively, which is the key when it comes to practical applications in real-time environments for the organization you are working for. The management will have more confidence in Agile implementation because of the effective utilization of resources. The institute also helps in setting up good standards and best practices for the quick development of quality software. Moreover, scrum development principles also put out better design alternatives. The KnowledgeHut Academy along with its expert trainers help you achieve the highly coveted certified scrum developer certification. Enrolling and registering yourself for the Certified Scrum Developer training in Chengdu can be done online easily and the cost of the course is also fair when compared to the market prices for other courses. Partner up with KnowledgeHut right away!